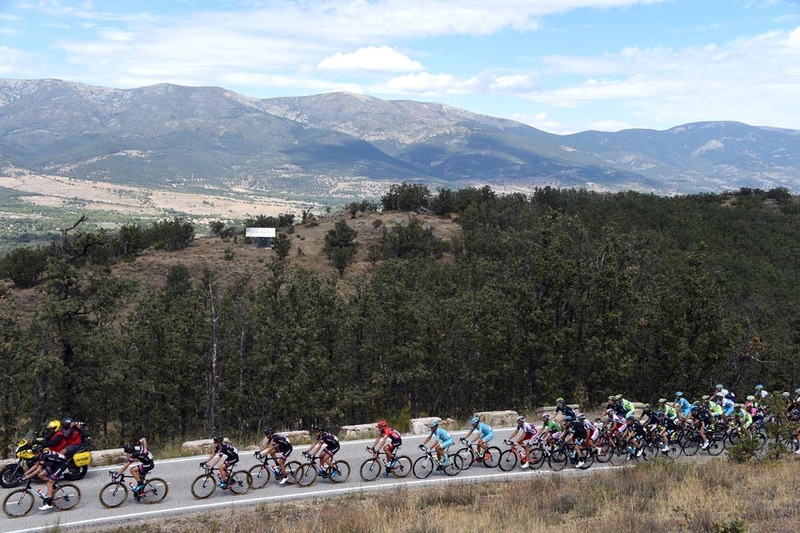 The 2016 Vuelta a España will stay in the country’s north and climb to 10 summit finishes, reports Spanish newspaper AS. The whopping double digit number is one more than 2015’s edition and tops what the other grand tours, the Giro d’Italia and Tour de France, are offering. Mark Cavendish may have called the 2015 edition ‘stupid’ with its high number of climbs, but race director Javier Guillen does not seem to care, going one more for 2016 – if AS is correct. The formula worked this September, when Italian Fabio Aru of team Astana overthrew Dutchman Tom Dumoulin (Giant-Alpecin) in a down-to-the-wire finish. The 2016 edition, which organiser Unipublic will officially present on January 9, starts a week and a half after the Olympic time trial and runs from August 20 to September 11. The 21-stage climb-heavy race, as AS showed, could suit Colombian climbers Nairo Quintana (Movistar) or Esteban Chaves (Orica-GreenEdge), who have both already pledged their participation. Chris Froome (Sky), Alberto Contador (Tinkoff-Saxo), Vincenzo Nibali (Astana) and reigning champion Aru would like the course, but their schedules after July/August with the Tour and Rio Olympics are largely unknown. What they would find is a compact route concentrated in the north of Spain. Instead of starting on the Costa del Sol and transferring hours and miles north for the final week as it did this summer, Unipublic appears to be keeping things comfortable after the already announced start in northwest region, Galicia. A team time trial stage on day one will cover 28 kilometres to Ourense and Mirador de Ézaro will host the race’s first summit finish on day three. Afterwards, AS predicts nine more uphill stage finals. Instead of covering new ground, as all of the nine closing climbs did in 2015, Unipublic will visit familiar locations like Lagos de Covadonga. The article also shows a possible stage finish in the French Pyrenees at the Col d’Aubisque. After the success of the Burgos time trial in the third and final week of the 2015 race, where Dumoulin overhauled Joaquím Rodríguez, another one is due to be on tap in 2016 along the windy coast from Jávea to Calpe. The Vuelta will dip no further south if AS is correct, but immediately travel toward the country’s capital in Madrid for the final.